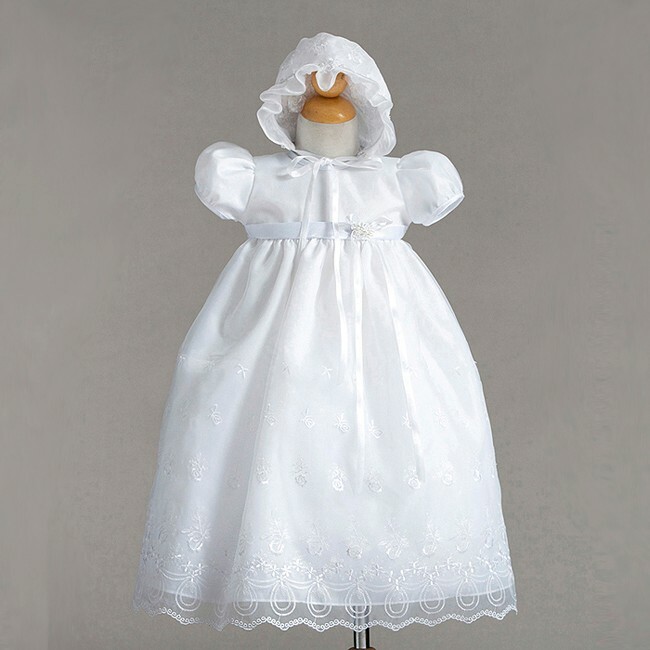 Baby girl Christening gowns - Baptism dress with Virgin Mary. 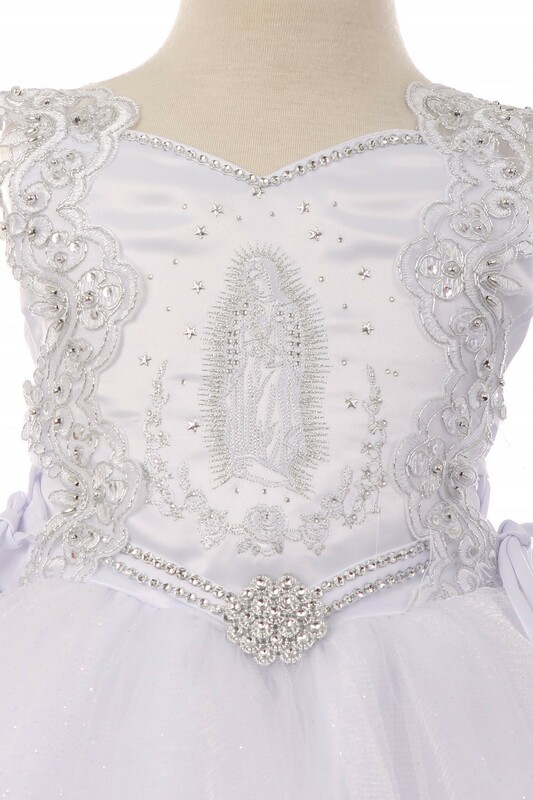 a baptism dress with Virgin Mary. Be sure to click on the fashion link of your choice to view the variations you can select from. 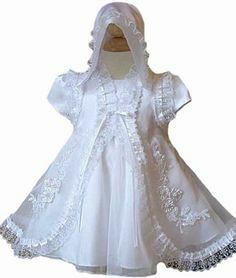 Elegant long baptism dress with Virgin Mary embroidered on the blouse. Off shoulder sleeves and ruffle decorated on the skirt. Corset on the sides to adjust size. 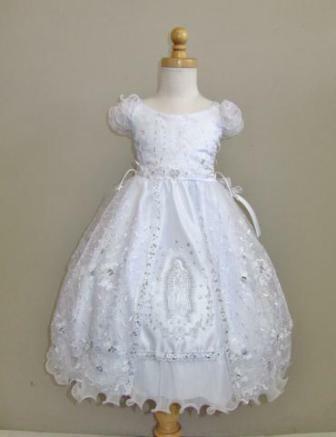 Little Girls White Off-Shoulder Virgin Mary Organza Christening Dress. Off shoulder bodice with corset ties. 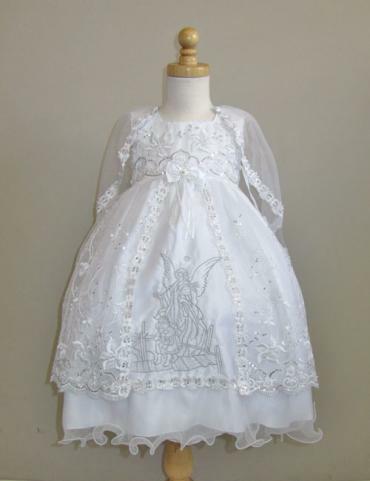 Baptism dress with train and Maria on the skirt. 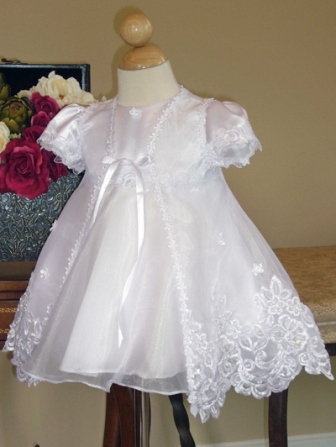 Shantung Dress w/ Cut Work. Hat included. 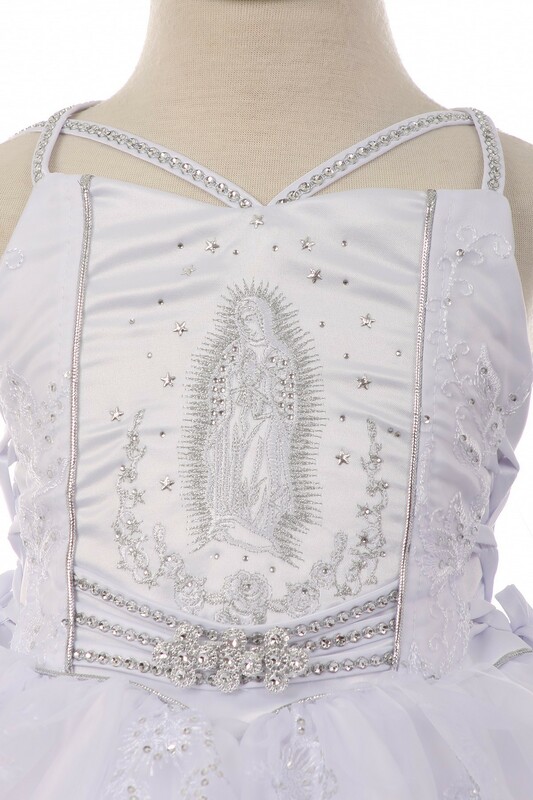 Beautiful dress with ruffle sleeves and rhinestones decorated Mary embroidery in front. Sides of dress laces up to adjust for size. 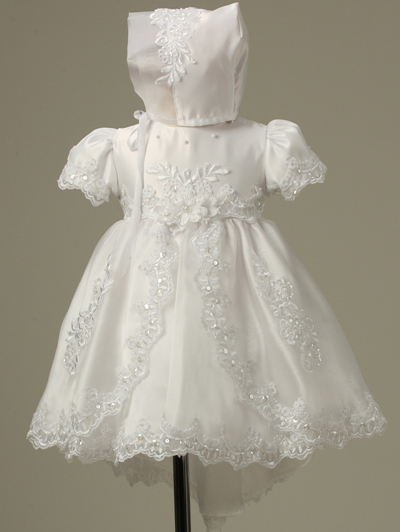 Sleeveless dress with Angel embroidered in front and stunning organza in silver bead detail. 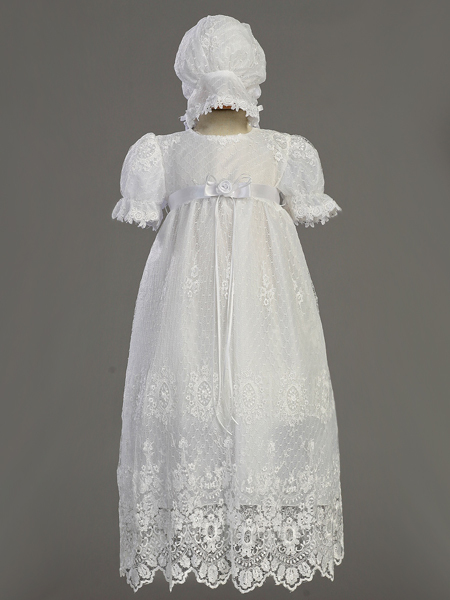 Beautiful christening gown. Taffeta bodice with diamond gathered skirt, and an empire waistline. Ties in the back. Comes with a matching bonnet. 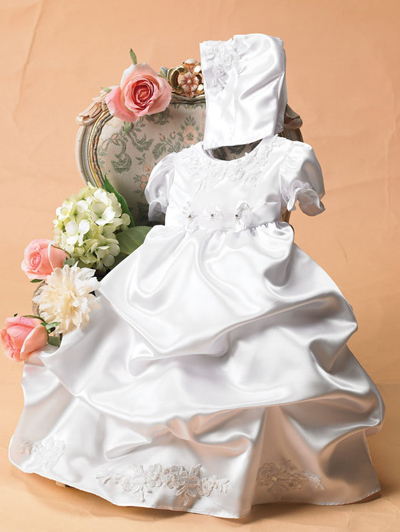 Satin Dress w/ Organza Overlay. Hat included. Celebrity Wedding Certificates , Renaissance Faire , ceiling treatments and decor , Phoenix Wedding , MI Weddings Want Free Links?